They may be sweedish champions but they're a long way off the pace this season in 4th place and we all know how strong that mob are at home. 6/4 ht/ft Celtic is worth a pound. H/T 0-0... Hope nobody took David's advice. B'stards. To be fair watched the second half on a stream, Celtic deserved it based on the second half performance, but they struggled to create any clear cut chances. Free header in the penalty box won them this tie. Close. That SHOULD come up! Stop giving me ideas!! Saturday morning is when I look at my bets!! Dundee Utd unbeaten in 8 games against Partick. 8/11 Dundee utd, Draw no bet. Draw in Partick game, single. Notts County single. Both in a small double as well. 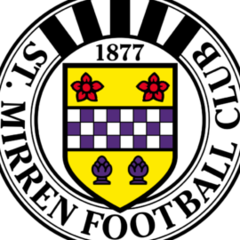 Well, it might not be a winning start for St.Mirren, but it's a winning start for Leicester Saint. Millwall lost so I'm 10 quid down! Ouch! Nae luck. If you placed the bet at willie hills you would get your bet back cos only 1 team let you down. 2 out of 4,poor start to the season. Keep that in mind, cheers. Notoriously difficult to win any money on. So many teams don't play full strength 11s. Leicester will play a mix of youngsters, fringe players and guys getting game time against Wycombe. It's almost treated like a pre-season game. Get on the phone to big Pearson and tell him to pick a full strength team. Probably still strong enough to beat Wycombe even with a reserve team anyway. Although we got knocked out by Burton Albion last season, 4-2!! Problem with League Cup bets is that every bigger team does the same thing, so somebody's bound to come unstuck. It's too risky to do accumulators. It's a both teams to score night. One off game with no replays, both teams going for it. That's a very good shout. Lets all get on that! Acca beaten by 2 teams - had both us and killie not to get beaten.